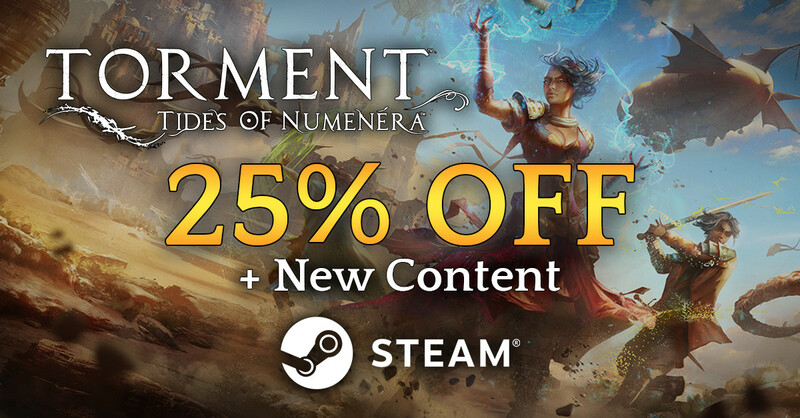 Courtesy of inXile, Techland, and Microsoft, Torment: Tides of Numenera is now 20% OFF on Xbox One for those who have Xbox Live Gold subscription. The discount is worldwide but it's limited time only - don't miss it! 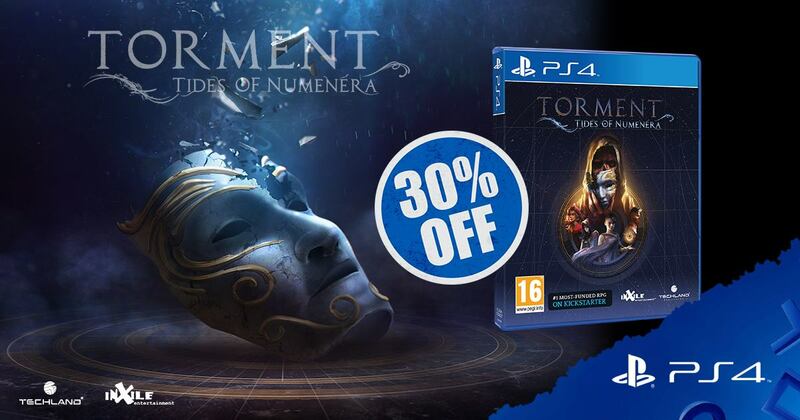 Torment: Tides of Numenera is now 30% off on PlayStation Store in Europe, Middle East & Asia. At this rate it'll be 100% off by October. 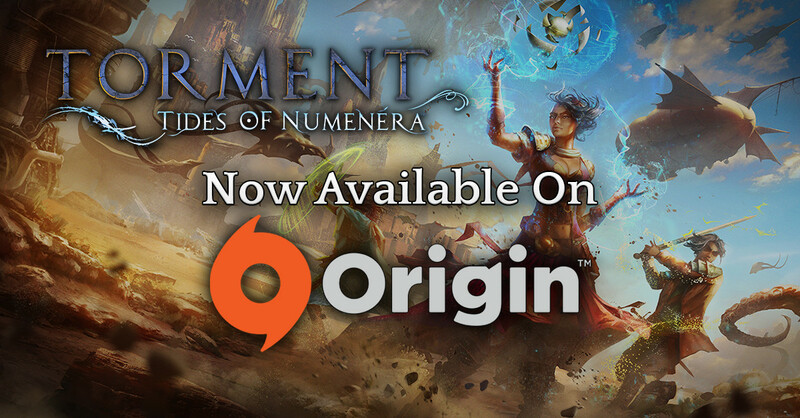 As part of the Content Update release, Torment: Tides of Numenera is on sale in the Steam Store! The discount is for a limited time, so if you have been thinking about picking up the game for yourself or a friend, now is the time! Is there are read.me file for the update with a Changelog? My problem is that under Win10x64 build version 16193, Steam is suddenly telling me, after applying the new patch, that Tides is *not supported* on "my platform," never mind that I have been playing Tides since the day its shipped on Steam on one Win10x64 Insider's Preview build or another--both versions 1.01 and 1.02 worked without a problem? Last edited by waltc on May 16th, 2017, 5:58 pm, edited 1 time in total. Hi Walt, (also hello from my intro thread, too...saw your note, haven't had a chance to reply)...that error looks and sounds like a Steam platform error, which means that I need to direct you to their attention. Sorry we cannot help you, but hope you get it squared away soon! Before I did that, though, were I in your shoes, I would also first try I would also verifying the files and rebooting Steam and/or my PC. Thank you for sharing this! We've been futzing around trying to figure out what the heck it could be, and am glad to know that a solution has been discovered. The Steam Summer Sale has begun and with it the ridiculous discounts that we all know and love. 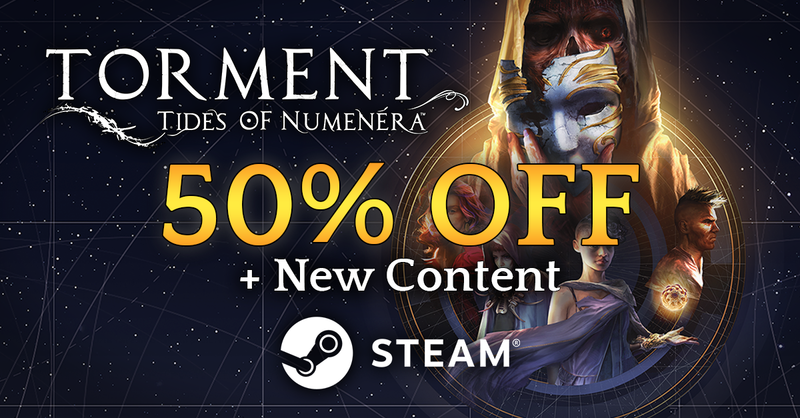 That includes, Torment: Tides of Numenera coming in at 50% off! if you've been thinking about picking up the game, now is your opportunity! 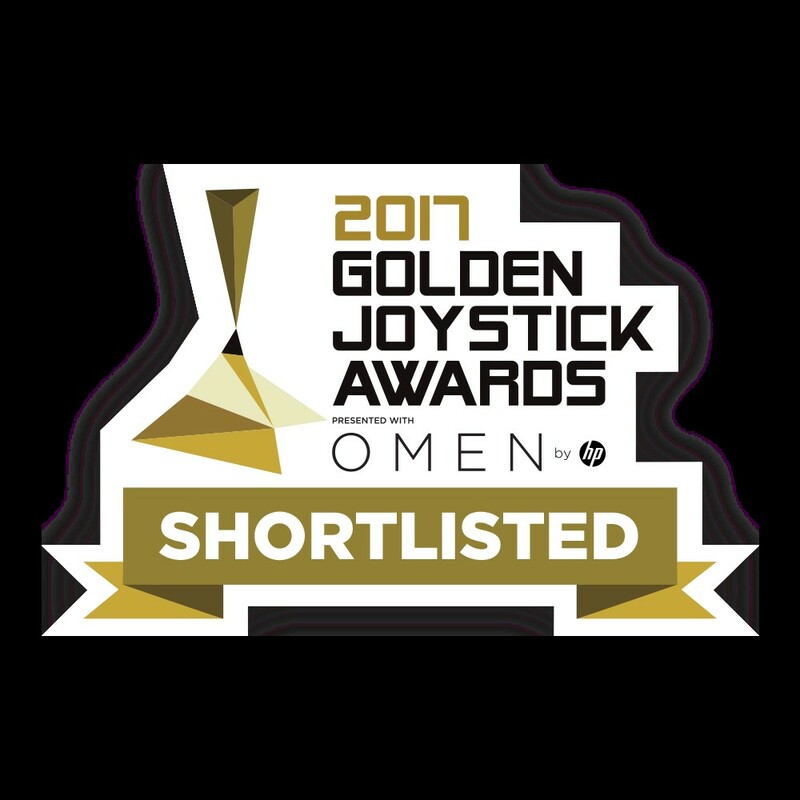 Torment: Tides of Numenera was nominated for a Golden Joystick Award, which we're all excited about here at inXile. These particular awards are a voter-based system, so here's your chance to vote on who should win for 2017...or take part in the time-honored tradition of lamenting those titles which weren't nominated. Chris Avellone and the other Torment writers have made a presentation about the devlopement. Torment coming to the Switch? Torment comint to the Switch too? Re: Torment coming to the Switch? Torment: Tides of Numenera nominated for this year's DICE Award for Role-Playing Game of the Year.